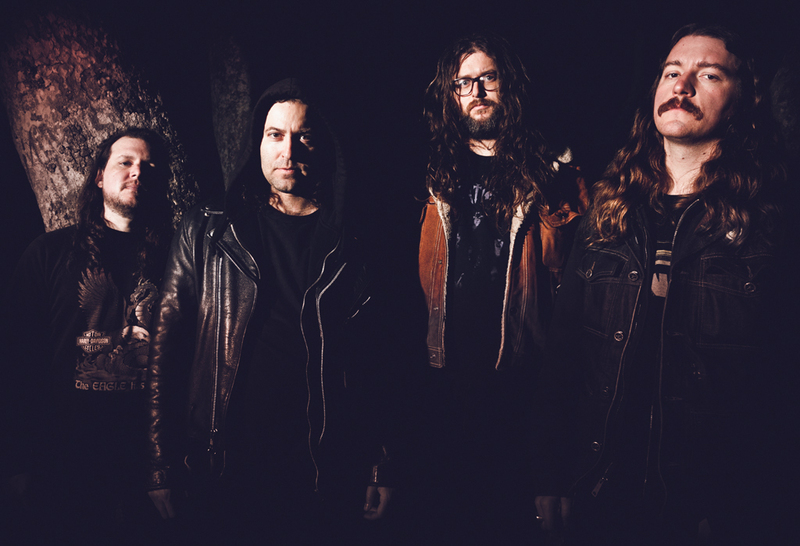 California based Saviours have just announced they have signed to French label Listenable Records and are preparing to record a new album this spring, with a release planned for later in the Fall. Austin Barber (Guitar/Vocals), Sonny Reinhardt (Guitar & Vocals), Andy Anderson (Bass) and Scott Batiste (Drums) have had an illustrious career since releasing their debut album ‘Crucifire’ in 2006, followed by full length albums ‘Into Abaddon’ (2008), ‘Accelerated Living’ (2009) and their most recent album ‘Death’s Procession’ in 2011. With an interest in the occult, the end of times and other arcane subjects, Saviours are promising to produce more of those towering riffs, colossal rhythm and monumental guitar harmonies that are synonymous with the band.